November is an active month full of eventful occasions such as the start of election season and Thanksgiving. However, before you start loading up with turkey or spending endless time reflecting on who to vote for, November is also a month to answer this very important question: to shave or not shave? This is a hairy situation and your answer can have radical implications! At some point you must have heard about manly social media trends like “No Shave November” or “Movember”. Although these events differ when it comes to their names and guidelines, they both share a similar vision: to raise awareness for different types of cancers and health issues and attract charitable funds that will be used for projects and foundations around the world to improve men’s health and support cancer prevention. According to No Shave November, their mission is simply this: put down your razor for 30 days and donate your monthly hair-maintenance expenses to the cause of men’s health. No Shave November encourages participation of any kind such as neglecting all grooming, trimming or even coloring with products such as VOLT Instant Beard Color. The wilder and freer your hair looks, the better! No Shave November involves education about cancer prevention, aiding those in the fight, and saving lives. Its impact is life changing. In contrast to No Shave November, Movember encourages men to shave clean at the beginning of the month and spend the next 30 days growing and grooming the most glorious mustache imaginable. This can involve waxing, trimming, and utilizing mustache dye – whatever you need to do make your mustache stand out! Your mustache will serve as a powerful conversation starter with others about important men’s health issues. The Movember movement and foundation is committed to stopping men from dying too young. By participating in this cause, you can help tackle prostate cancer, testicular cancer, mental health, and suicide prevention. Many cancer patients become deprived of their hair. You can make a big difference by embracing yours. Whether you decide to participate in No Shave November or Movember, you can make a life-changing impact. Just by putting off shaving for a month and growing your mustache or beard, you will join a movement larger than yourself. More importantly, you will also likely receive many opportunities in person and on social media to tell people why you are doing so. It is a great way to share your cause and get more people on board. In order to create the most positive influence, your ultimate goal should be to raise money and donate by example. You can do so directly at the Movember website or at No Shave November. Although both events are a great cause to support through donations, you can also choose to participate in alternative ways. Movember Foundation encourages participants to commit to Move by walking or running 60 miles throughout the month. According to Movember, 60 miles represents 60 men we lose to suicide each hour. Another way to donate is through other participating companies. 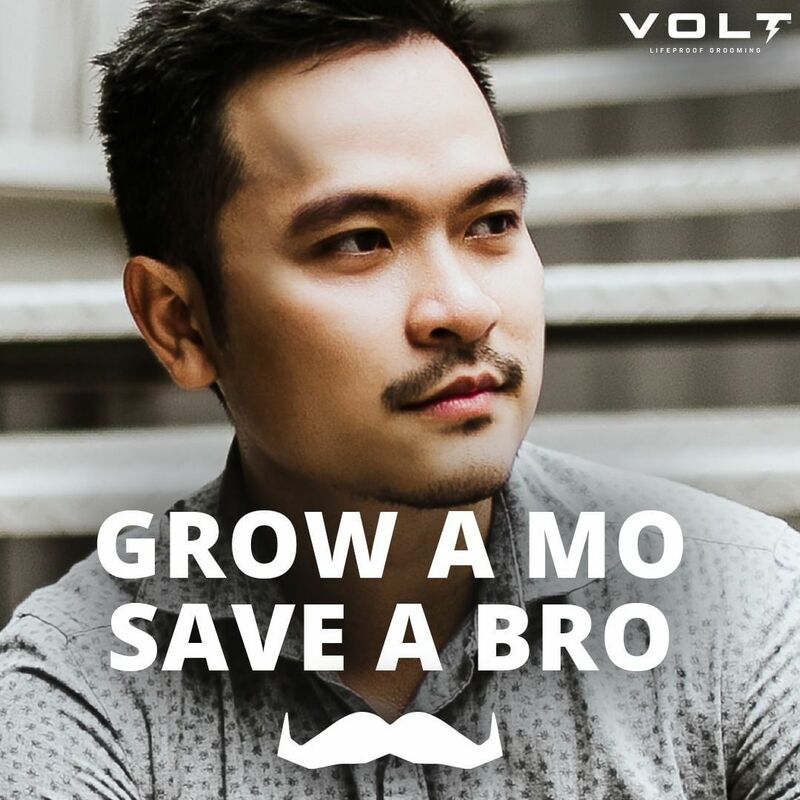 For an example, you can donate through VOLT Grooming’s Movember campaign. VOLT Grooming, the creator of VOLT Instant beard Color, also offers a $5.00 discount coupon during the month of November with portion of their proceeds going towards improving men’s health. Instant Beard Color is a great way to maintain your mustache or beard while supporting those in need. To get your coupon, visit VOLT Grooming on Instagram. You can also raise funds by hosting an event or party to support Movember. There is nothing easier and more fun than getting together with your friends and family while donating to a great cause. Visit Movember’s website for more information on hosting. Forget grey forever and find your shade of instant beard coloring with VOLT’s new waterproof, sweatproof, and lifeproof Instant Beard Color.